Next Stop: Food | Food Blogger located in Sydney Australia: The Churro Truck - need I say more? 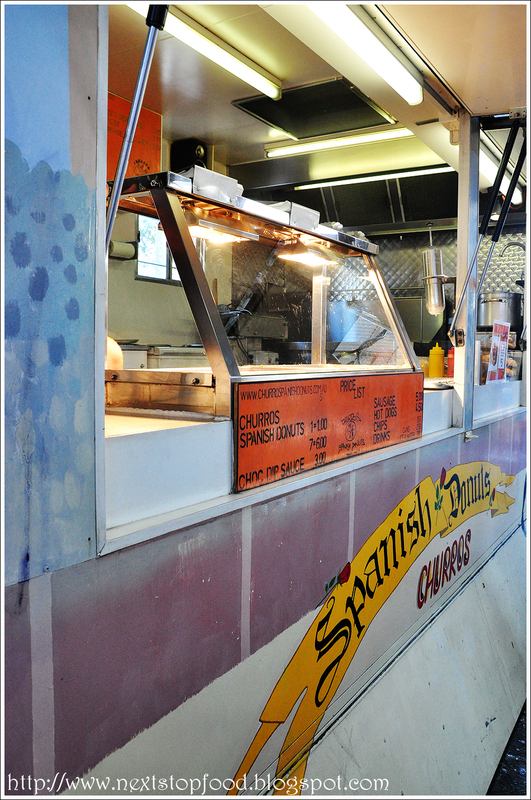 The Churro Truck - need I say more? 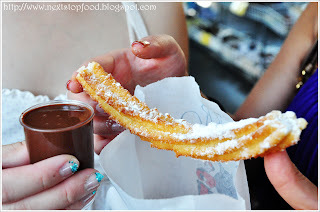 Easily the best Spanish churros I’ve ever had (opps, besides from the ones I had at San Ginès, Madrid) but these babies located at the Vic Market are one of the freshest churros and yummiest around. We were told the Churro Truck attract crowds, expecting it to be quite an easy find (simply find a spot where there are loads of people lining up for churros) but turns out it was a quiet day at the market. The decision to make: 1 for $1 or 7 for $6, but with only two and a half foodie saying yes, we had to be sensible so we decided to buy two to share plus the choc dip sauce $3. Served fresh with a dust of icing sugar dunked in a warm milk chocolate sauce – the decision to not buy more was already a regretful one. But hey! 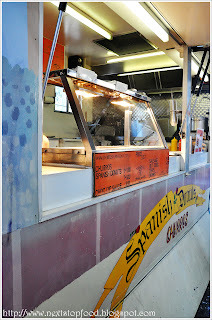 Churro truck will just have to be on the agenda for the next visit. I heart Melbourne. I don’t care what others say; if you think Sydney food is better... then you’re just being silly and it’s time for you to be rational and open your mouth to these Spanish babies.